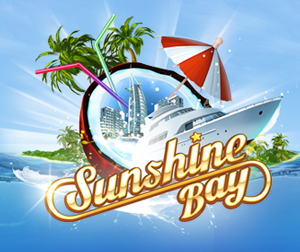 How to earn Sunshine Bay Port Cash in the game? This game has a lot of potential, It feels like 2011 again way back city building games are very popular. The music feels good and relaxing, the only thing that prevents me from coming back is the building materials. It just too hard to find! It feels like they are forcing you to buy port cash. You will need lots of Facebook Friends that will help you gift the item and fulfill your wishlist items. Use the Sunshine Bay Add Me page to find neighbors or join the list so that more players can add you. You can earn 1 Port Cash for each new level you achieved in the game. Sometimes they release links with port cash +3 or +10. Check the Sunshine Bay Bonus page to never miss a free bonus in the game, it will also help you track bonuses and meet new friends. If you got the real cash, you can always buy Port Cash in the Game Bank. Upgrade the Town Hall to increase the limit. Delete a few buildings that you don't need. It will free a certain amount in the population number. Expand your territory and Construct unique buildings to increase the maximum population limit. To expand your territory you will need building permits and there is also a required total amount of coins (varies depending on your territory level). Click your Town Hall to collect daily. Tip: The number of visits you can pay a day depends on your Reputation level: the higher it is - the more neighbors you can visit per day. At the 1st level you can go to 3 friends. At each subsequent reputation level the number of neighbors you can visit a day increases by one. You earn Reputation by visiting your neighbors. When you visit them and collect profits, passengers or fuel from their buildings, you get 1 heart for 5 gatherings from each neighbor. The more hearts you receive, the higher your Reputation level is. The number of passengers can be increased by upgrading the Port Terminal. It will also require you for building materials which can be obtain from specific location and you will need the required amount of coins. You can start a voyage that has a chance to find the materials you need. Sometimes they release gift links. Check the Sunshine Bay Bonus page to never miss a free bonus in the game, it will also help you track bonuses and meet new friends. You can request for a gift or add it to your wishlist. You can only send 20 free gifts a day. The game feature is that you can send only one item as a gift from the group of objects. Thus, for example, in case megaphone cannot be sent, you have an opportunity to provide your friend with another item from this group. A building is an object that can't be stored in the Warehouse. If you need a space on the map, you can replace a necessary object, or delete it if you don't use it any more you can always find available buildings in the Store and construct any of them again later. This is one of the worst part of this game they can store buildings for you but you cannot! If your a new player focus on building high paying buildings like the "SPA Center" build at least 2. Youe daily coin average will increase, instead of collecting coins from low paying buildings. When you have enough coins sell low paying Resedential Buildings and replace it with stone house or mini hotel. It's way better than collecting from low paying houses since you are playing at least 2 times a day. Don't sell low level Yachts because there will be times that it's required in a quest to start a voyage. When you reach the level where you can upgrade the Oil Derrick focus on upgrading it. The first upgrade is worth 6,000 coins you will need a steady source of oil. Mini Yachts can dock on high level Piers, you can sell the old one and replace it with higher levels. This post will be updated as soon as I learn new tricks and tips from the game.